Steadily rising to prominence over the last decade, Trivium are now very much a band at the helm of the modern metal scene. Beginning it all in 2003, they released their debut album, Ember To Inferno. Although this album earned the band a record deal with Roadrunner Records, it’s been out of print for many years, and considerably hard to find for fans of the band. However this is about to change as Trivium release Ember To Inferno: Ab Initio on December 2nd– a re-release of the original album as well as 13 additional early versions of songs that were never previously available. While Ember To Inferno may not be a ground-breaking metal album, it’s hard to believe that these songs were penned and recorded pre-record deal when frontman Matt Heafy was only 16/17 years old. Pillars Of Serpents straight off the bat establishes Trivium as a force to be reckoned with, while When All Light Dies is a six and half minute epic with a powerful, driving bridge thats is definitely heavy going for just a debut album. While the formula for most of the tracks is pretty uniform, making for quite a lot of filler (unless you’re a massive Trivium fan), there’s no denying that it’s a good strong effort for a band straight out of the gate. However, it’s not really the re-releases that are important; most fans will probably be picking up Ab Initio for the bonus, un-released material. Pain has an introduction that far surpasses the two minute mark; one can only assume this was the result of a new band having an abundance of riffs buzzing around their collective conscious, and the jamming just took on a life of its own. Thrust carries a lot of markings of Metallica (especially vocally), and is a chugging, scuzzy, welcome change of pace to the usual Trivium vigour. Offering up quite a helping of groove- by Trivium’s standards anyway- To Burn The Eye again seems to explore another side to the band. The album version of this track adds a little more edge to the groove which works, however the under-produced demo does have a certain charm about it. The Storm begins with some Spanish-y guitar parts that create a falsely calm atmosphere before the song kicks in and Trivium sound like they’re in an incredible rush to get places. Sworn sort of feels like much of the same, however Demon brings a different pace in the beginning with some threatening, drawn out guitars. Toward the end of the bonus tracks, although punishing and never anything less than powerful and unrelenting, there is a slight feeling that the last few tracks sort of blend into one- being long tracks at that, Trivium give a real definition here to the phrase ‘this is a marathon, not a sprint’. No Trivium album is ever going to be an easy task to undertake, listening wise. 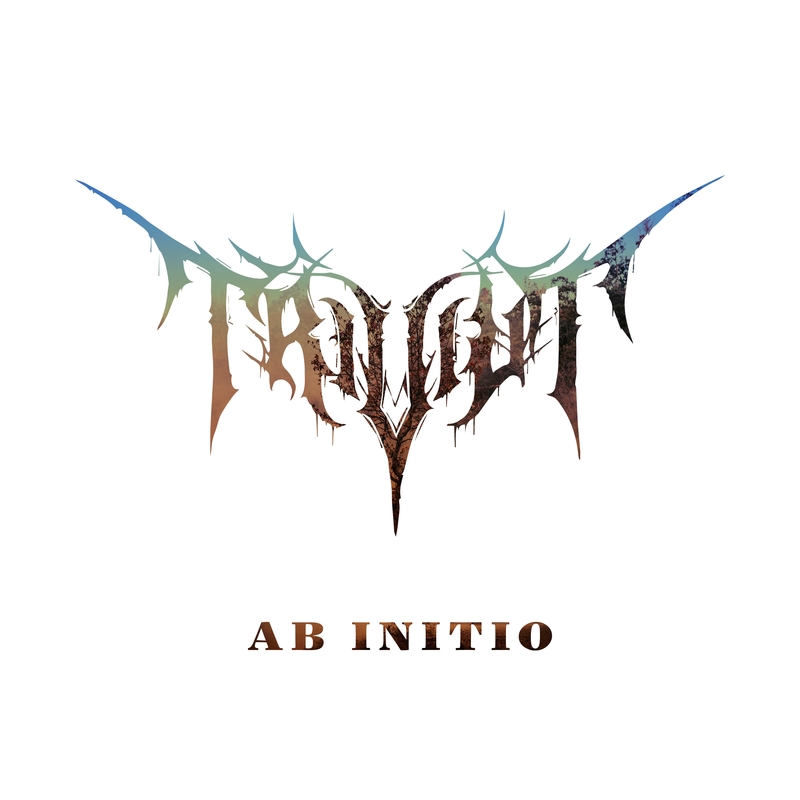 However, Ember To Inferno: Ab Initio (which, by the way, is Latin for ‘from ignition’) coming in at 25 tracks, is most definitely some heavy going. This is not to say that this is a bad album- it’s most definitely not. Considering this was the first offering from a young, new band, pre-record deal, pre-20s and before they’d ever had an experience from the music industry, it’s pretty damn admirable. However, sitting through this particular offering in its entirety more than once or twice, may appeal to only the hardest of die-hard Trivium fans. Ember To Inferno will be released in four configurations, with the deluxe editions containing the band’s earliest songs Ruber (the Red Demo), Caeruleus (the Blue Demo) and Flavus (the Yellow Demo). Fans can pre-order all formats online here. Ember To Inferno — Standard CD. Ember To Inferno — Standard Vinyl LP, which is the original album in a 2LP Gatefold on orange/black marble vinyl. Ember To Inferno: Ab Initio — Deluxe CD, which is the original album with new artwork, plus 13 bonus tracks and expanded booklet in a digipak. The 13 bonus tracks are the band’s earliest songs – “Ruber” (aka the Red Demo), “Caeruleus” (aka the Blue Demo) and “Flavus” (aka the Yellow Demo). Ember To Inferno: Ab Initio — Deluxe 5LP Box, which is five coloured LPs in a special box including the original album in a 2LP Gatefold on orange/black marble vinyl, the expanded booklet, a poster, a stencil, and 13 bonus tracks over three LPs. The 13 bonus tracks are the band’s earliest songs – “Ruber” (aka the Red Demo) on transparent red vinyl, “Caeruleus” (aka the Blue Demo) on transparent blue vinyl, and “Flavus” (aka the Yellow Demo) on transparent yellow vinyl. Trivium return to Europe for headline dates February-March 2017. The UK dates are listed below. Find full dates and tickets here!